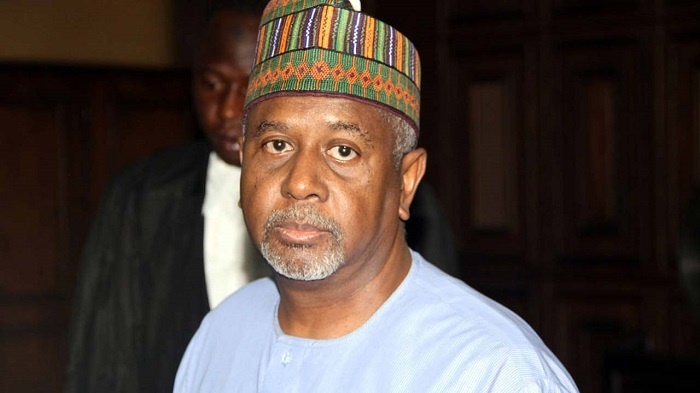 Detained National Security Adviser, Sambo Dasuki, has had his appeal seeking an order setting aside the subpoena directing him to appear in court to testify on behalf of a former National Publicity Secretary of the Peoples Democratic Party, Olisa Metuh, rejected. The Federal High Court in Abuja has struck out an application by the detained National Security Adviser, Sambo Dasuki, seeking an order aside the subpoena directing him to appear in court to testify on behalf of a former National Publicity Secretary of the PDP, Olisa Metuh. He held that all issues raised by Dasuki, through his lawyer, Ahmed Raji (SAN), had become academic since the court lacked jurisdiction to hear the complaints. But Dasuki, despite the subpoena issued on him upon Metuh’s application directing the Department of State Service to produce the detainee, is absent from court on Wednesday.